Differentiated instruction is a teaching framework that involves meeting the needs of every student. Every student is different and every student has different needs they need to be met in the classroom. Differentiated instruction provides students with different avenues of learning with the goal of supporting all learners in the classroom. There are many types of teaching strategies that can help you achieve the differentiation your students need. How do I differentiate instruction in the primary classroom? In the primary classroom, we see many different learning styles, which can provide a challenge when determining how to differentiate. In my kindergarten classroom, my students’ skills differ dramatically. I have students reading at a level AA and students reading at a level N. The ability to meet every student’s needs is not an easy task, but it can be done. 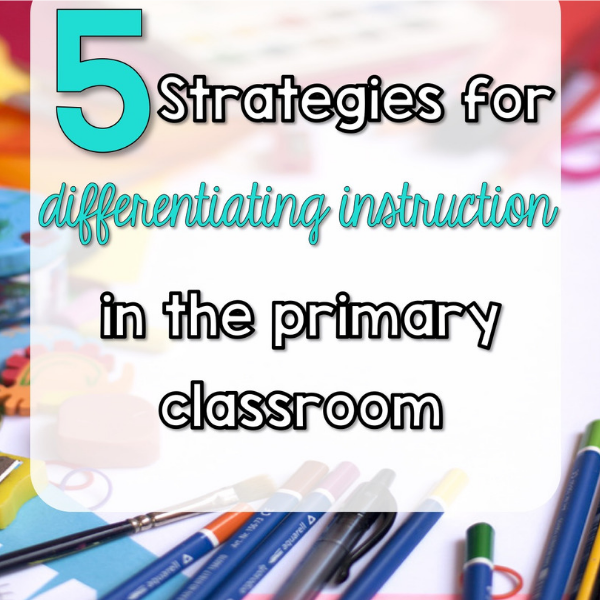 Here are some tips for differentiating instruction in the primary classroom. Grouping students is an easy way to differentiate instruction. Use observations, assessments, and other data to determine which groups to create for your students. Pinpoint where their skills are and where they have areas of growth. Groups can be rearranged and changed throughout the year depending on student needs. Incorporate all learning styles in your lessons; visual, auditory, reading/writing and kinesthetic. Lessons that engage all modalities will be more effective and worthwhile. Your classroom is full of each one of these learning styles and your students will be more engaged when their needs are met. Using centers in your classroom can help you meet the needs of all of your students. By making a few adjustments at each center, you can help reach those students who need an extra challenge or need help meeting grade level expectations. As a teacher, you can present the information in a variety of different ways. Giving students the opportunity to choose their assignment or the topic of an assignment can be a great motivator and give students the chance to demonstrate their strengths and areas of growth. I love sentence frames. I’ve used them in every grade I’ve taught. In the primary grades, they are extremely valuable. Sentence frames can help support student discussions and ideas, help students use academic vocabulary and give those students who need extra support, a way to access the task. Sentence frames are also a great way to organize thoughts and ideas. Differentiating instruction is not an easy task. It takes time and effort on the teacher’s part, but when done correctly, differentiated instruction can provide invaluable learning for all students. What differentiation strategies do you use in your classroom? For more strategies in the classroom, check out, 5 Strategies for increasing family engagement. Differentiation is an approach that encourages teachers to respond to relevant differences among individuals while maintaining high expectations for all. It needs to be used together with effective evidence-based teaching methods to minimise learning failure. I think this set up is only done in schools that follow the MI system. But for the rest of the world, like those in public schools in third world countries, they can just be lucky that they know how to read and write. Sigh… That is why we homeschool. It’s wonderful that teachers are acknowledging that everyone learns in a different manner and attempting to meet everyone’s educational needs. It must be very difficult to do so in a classroom with upwards of 20 students. This is how my son’s school works. They have different groups for everything so every child is taught at the right level. I am a teacher and I have never heard of sentence frames. I just sub now…but this is new to me. I would have loved more info on that technique. I will have to google this to see what exactly you do. I teach Jr. High and HS so this may be why I don’t know about it. I love this. All kids learn differently and it is so imperative that schools start recognizing this and addressing this in elementary school especially. Thank you for blogging on this topic. This one’s really helpful! Great post! I’d let my mom-friends to read this! 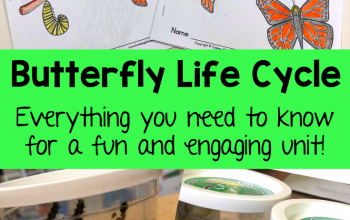 This sounds like an awesome way to learn! Is it challenging to utilize this method in a classroom of 25-30 kids? All this will help the students to easily comprehend whatever that’s been thought.. This is an interesting concept. I’ve never heard of it before, but after thinking about how my son’s class is run, I believe his teacher utilizes this method. I love the grouping part of it. I feel like everybody benefits from others strong assents. Kids learn so much by example. I have a friend who is starting to her teaching career and I am sure she will need this! These can be important in preschool settings too. I use grouping and letting kids choose certain things many times. These are great techniques even for companies. Thanks for sharing! This is a great way to explain what I think many teachers unofficially have done for years. If they are a good teacher, they will see the kids who need extra help to catch up and the ones that are getting bored and need to be more challenged. There really is not a one size fits all, otherwise, many people are ignored. I love the way this is explained here. As a mom of 4, I have to say I love all your ideas. We are lucky ennough to live inn a school district that adddresses that every chiild learns different. I wish all schools / learning enviroments were like this. These are all such great ideas. I’ll be sure to share with friends who are parents. Enjoy the rest of your weekend!